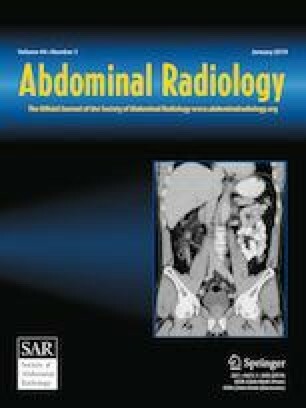 Bilateral adrenal abnormalities are not infrequently encountered during routine daily radiology practice. The differential diagnoses of bilateral adrenal abnormalities include neoplastic and non-neoplastic entities. The bilateral adrenal tumors include metastasis, lymphoma, neuroblastoma, pheochromocytoma, adenoma, and myelolipoma. Non-neoplastic bilateral adrenal masses include infectious processes and haematomas. There are different diffuse bilateral adrenal changes such as adrenal atrophy, adrenal enlargement, adrenal calcifications, and altered adrenal enhancement. In this pictorial review article, we will discuss the imaging features of these entities with emphasis on their clinical implications. The online version of this article ( https://doi.org/10.1007/s00261-018-1670-5) contains supplementary material, which is available to authorized users. This study was not supported by grant funding. All procedures performed in studies involving human participants were in accordance with the ethical standards of the institutional research committee and with the 1964 Helsinki declaration and its later amendments or comparable ethical standards. Informed consent was not obtained for this retrospective review.